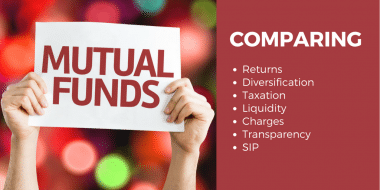 There is so much hype about the mutual fund as an asset class and so let us analyze to see if are there any real benefits of investing in mutual funds over other asset class? 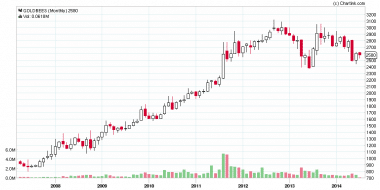 Is Falling in Gold Price an Investment Opportunity? Investors in Gold may be loosing money in the current fall but many retail investors don’t think about this fall as a loss because falling gold prices is not something that we worry too much. Gold Falling Rates What It Means To You And Economy? Gold has lost some of its shine in the past two weeks and consumers are very happy including me. After a long time, It has given the golden opportunity to buy the yellow metal depending on our requirement. I did not miss the opportunity and I gifted a chain to my mom. Let’s discuss about the falling gold prices and what it signals to the country’s failing economy. Gold is always a safe option for investors and there have been lots of positives about investment in gold but do all those hold true in the current scenario? What should be your ideal allocation to gold? What are the major factor that attracts investment in gold? What would you opt for if you have an investment option as good as gold? Let me answer all these questions. 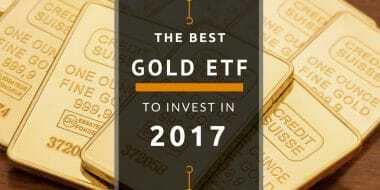 Physical Gold Or Gold ETF – Which is Right for You? Gold ETF or physical Gold. Let me share positive and negative aspect of investing in each of them so you can decide which one is right for you.